It’s Official! 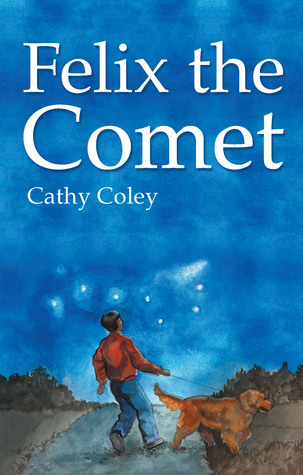 Felix the Comet is available for order through Lulu.com! Melissa Gay‘s art translated into a beautiful cover! 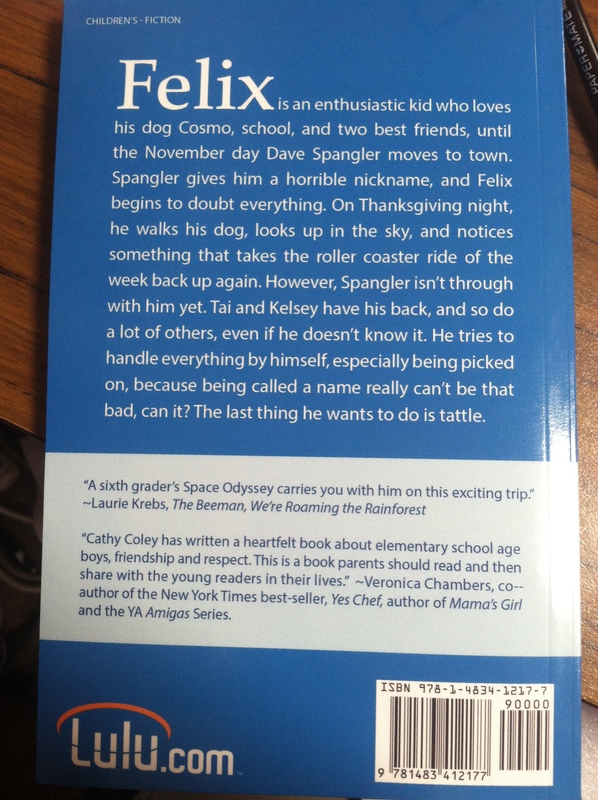 A couple of authors I admire very much gave me blurbs for the back cover. Thank you to Veronica Chambers and Laurie Krebs! Lulu.com’s design team came up with a great page break paw print to represent Cosmo! I am so very excited to share my book with everyone. Thank you to my donors through Pubslush.com, and to Pubslush.com, and Lulu.com. Donor ebooks PDFs will be sent as soon as I receive, as well as the signed paperbacks and other incentives. I will sign and ship out as fast as I can! Thank you to all of my supporters who helped make my Pubslush campaign for Felix the Comet a success! I have raised a bit over my campaign goal in just 30 days! I will be giving readings at two elementary schools, one in San Antonio,Texas and another in a small town in New Jersey. I am very excited about these two trips! After all, I love a good adventure, and can’t wait to meet students and teachers in different parts of the United States. It has been about 25 years since I stepped foot in Texas, and I have never been to San Antonio! I do pass through New Jersey frequently in my East Coaster travels to visit family and friends. It will be nice to get off the highway and meet some new friends. I will also be baking a lot of snickerdoodles, and sending out ebooks, paperbacks, bookmarks and quality art prints. Speaking of quality art, thank you, also, to Melissa Gay, a brilliantly magical artist for my cover art. 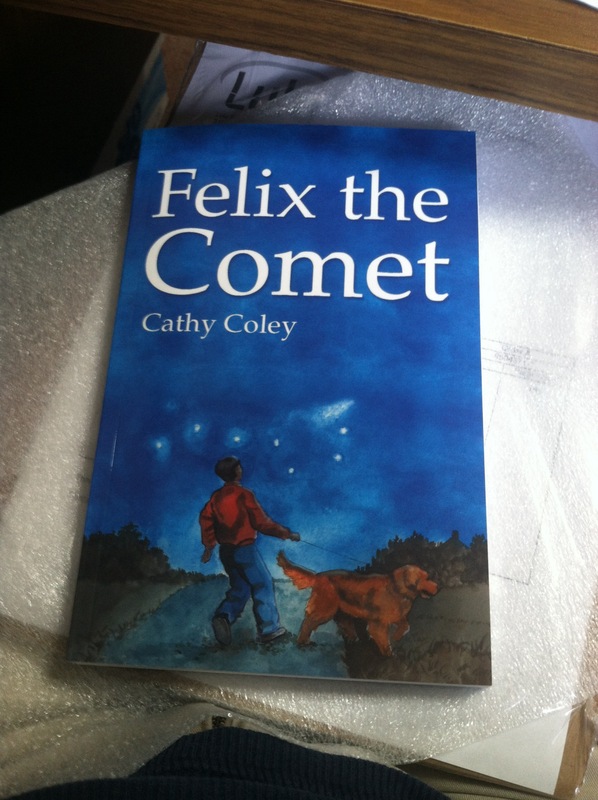 She painted Felix and his dog Cosmo, as I first imagined them, looking up at The Big Dipper. I can’t wait to get this book into production! !